After previewing it last December, Hyundai Asia Resources, Inc., the exclusive distributor of Hyundai vehicles in the Philippines has finally dropped the prices of its all-new 2019 Accent sub-compact sedan. 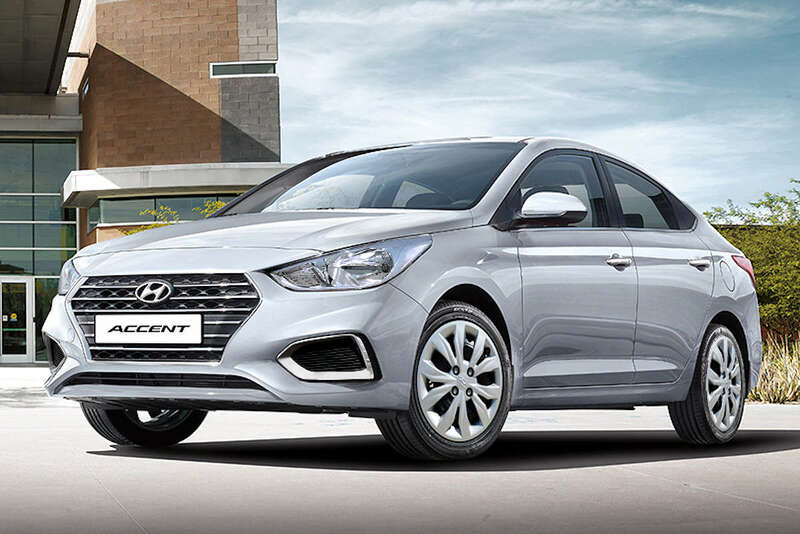 The all-new Accent features Hyundai’s latest Fluidic Sculpture 2.0 design language and is underpinned by a stronger platform that’s made of 54.5 percent Advanced High Strength Steel. This equates to improved collision protection without adding weight thereby reducing overall fuel consumption and improving driving performance. The 2019 Accent features a choice between a 1.4-liter MPI gasoline engine and a 1.6-liter U-II turbodiesel engine which is mated to either a 6-speed manual or 6-speed automatic (depending on the variant). You can check out the full specs of the Accent here, you or you can scroll down for the prices. Wow it is even more expensive than a Honda City, Toyota Vioz or Suzuki Ciaz based on specs. The recently introduced Suzuki Ertiga 2019(automatic) is even cheaper than this Hyundai Accent. What were the product planners thinking when they released this 'underspecced' and overpriced car. Wasted opportunity again. Yeah, it's okay not to include airbags in 2019 since they are now using stronger materials lol. Just get a base model Vios, you will get 6 airbags, EBS and ABS plus it is 91k cheaper! It should last longer too. Dapat standard na ang dual airbags at ABS sa lahat ng passenger cars. Hihintayin ko mga review nito, sana emphasize naman nila yung lack of safety features. Older AT (less efficient), less safety features, no touchscreen, drab interior, etc. More expensive than a Ciaz, City, 2 or Vios. Again ang again HARI is not as good as their counterparts in the US. They just destroyed another Hyundai in sales.